This piece was painted in watercolor from one of the plants in my garden. 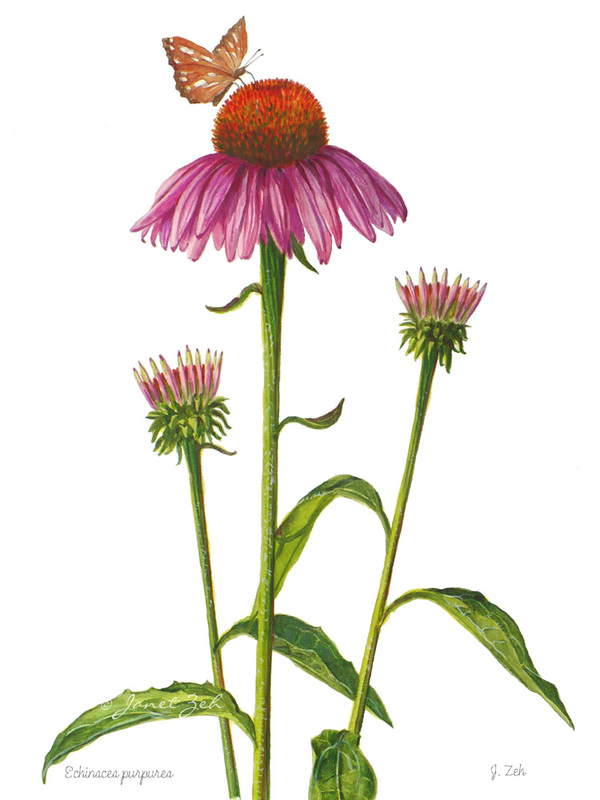 Purple Coneflower Botanical print comes in several sizes and display options. Click the Order Print button below for sizes, options and prices.